Johnson & Johnson is now offering $200,000 per plantiff to settle over 10,000 cases filed against its DePuy Orthopedics Division. The metal-on-metal hip replacement devices were found to have a 49% failure rate within the first six months, according to the British Orthopaedic Association. The New Jersey-based company Johnson & Johnson faces more than 10,000 lawsuits against their DePuy Orthopedics division for metal-on-metal hip replacement devices that have caused serious personal injury. The company has been accused of less-than-thorough testing of their devices, and abusing the FDA’s 510(k) law, which allows devices that are substantially similar to approved devices to receive approval without such rigorous testing. According to plaintiffs, metal-on-metal hip replacement devices fail at a higher rate than hip replacement devices made from other materials, like ceramic or plastic. The DePuy devices are, according to their advertising, supposed to last around 15 years, but have a 12% failure rate within the first few years after implantation. According to the British Orthopaedic Association, DePuy’s metal-on-metal hip replacement devices had a 49% failure rate within the first six years after implantation. The devices can cause tissue necrosis, metallosis, bone fractures, and infection. In 2010, Johnson & Johnson and their subsidiary, DePuy Orthopedics, issued a worldwide voluntary recall of 93,000 of the metal-on-metal hip replacement devices, 37,000 of which were in the US alone. On January 17th, the FDA proposed stricter regulations for metal-on-metal hip replacement devices such as DePuy Orthopedics’ ASR and Pinnacle hip devices. Stryker is another metal-on-metal hip replacement device manufacturer facing serious personal injury lawsuits – the manufacturer recalled two hip replacement models in July 2012. The first trials in the DePuy MDLs are slated to begin on Wednesday, January 23rd. Lorie Gawreluk, a spokeswoman for J&J, declined to comment on the company’s “litigation strategy” or any settlement talks. In August 2012, DePuy settled its first personal injury lawsuits for a lower amount than expected – $200,000. The case initially should have gone to trial in December 2012. However, the three plaintiffs in that case motioned to strike confidentiality because they said the settlement amount was not yet agreed upon. Johnson & Johnson is now offering $200,000 per plaintiff – around $2 Billion total – to settle all of their 10,100 cases before they reach trial. However, lawyers for the plaintiffs in both ASR and Pinnacle MDLs said the amount was too low to satisfy the lost wages, emotional and physical trauma, and medical bills that each plaintiff has and will continue to suffer. However, settlement talks will continue as the first three cases go to trial. The first proceeding starts Jan. 23 in state court in Los Angeles; the second begins next month in state court in Chicago; and a third is slated for May in federal court in Toledo, Ohio. If you or a loved one have had one of these metal-on-metal hip replacement devices implanted, and are suffering serious health problems and personal injury related to the device, you may be entitled to compensation. 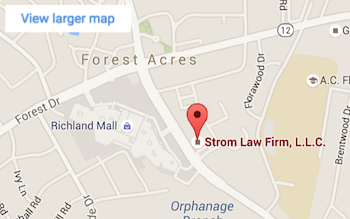 The experienced lawyers at the Strom Law Firm specialize in defective device litigation, and understand the suffering you have experienced. We offer free consultations to help get you on the road to recovery, so contact us today. 803.252.4800.